Last year we went to NYC for the second time and again it was a great experience visiting new and exciting parts of the city. Obviously the new One world trade center was part of it and we visited the Highline. The High Line is a public park built on a historic freight rail line elevated above the streets on Manhattan’s West Side. It runs from Gansevoort Street in the Meatpacking District to West 34th Street, between 10th and 12th Avenues. Besides some sightseeing we had some great drinks and food, bar54 is the highest rooftop bar in NY situated in the Hyatt on Times Square, the burger joint is a funky burger place hidden in the Parker Meridien Hotel. There are also some great restaurants in the Meatpacking District. Macelleria is a great Italian steakhouse with amazing dishes and flavour. What are your favourite places in NY?? Last year September 2015 we went to Bali and stayed at the W Retreat & Spa Bali. I must say that this is one of the most amazing places I have ever stayed in my life! 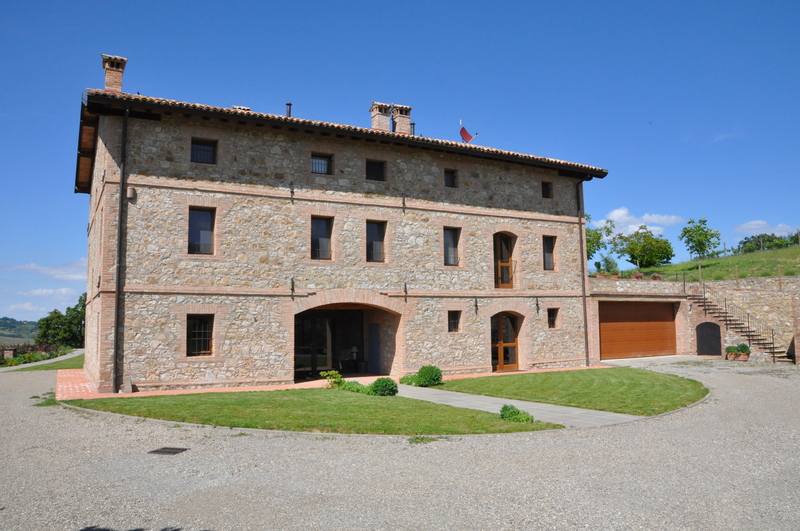 The area, the Villa with private pool we stayed in, the food and most important the staff. We were there with our 3 year old daughter and she was treated like a little queen. Nothing was to outrageous, she was completely spoiled over the 2 weeks we were there. I really can recommend this hotel I could not find any flaws. The hotel has 2 restaurants one with mainly fish and one with great meat dishes. The 2 restaurants also serve as breakfast spots. They have a great bar and last but not least their sunday brunch is a real feast! Let me know if you have been here and what your experience was!! 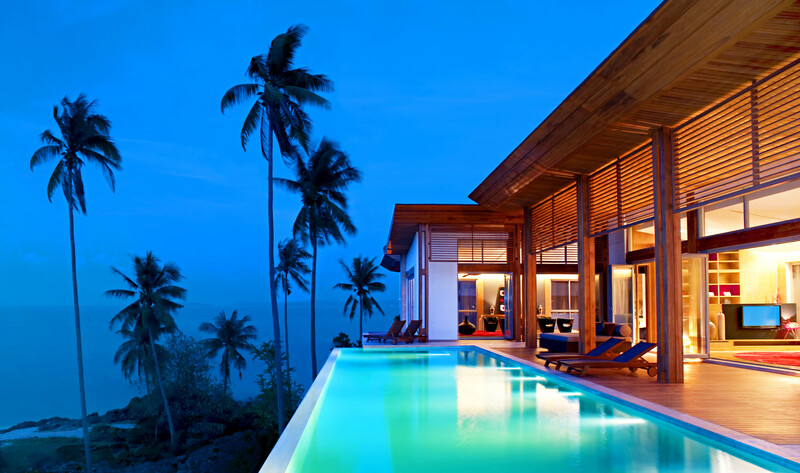 The W hotels and resorts are fastly expanding their presence in the world. All come with a very modern, luxurious and trendy design. 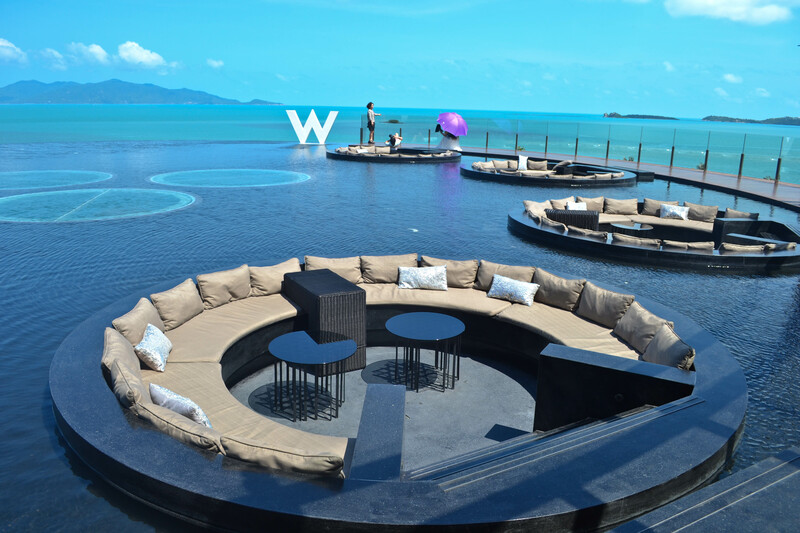 One of the nicest is the W on Koh Samui, Thailand! 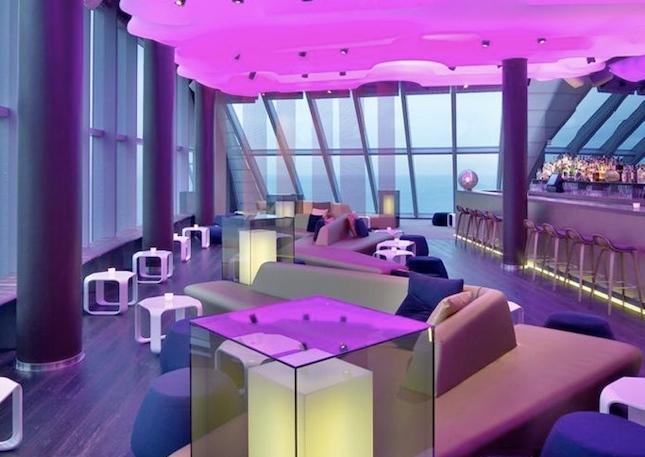 What do you think of the W hotel chain? 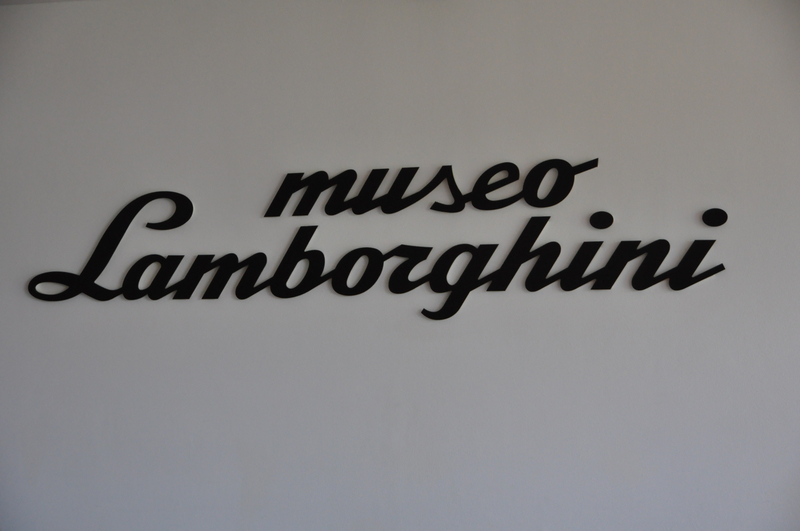 Well, our summer holidays are over unfortunately but we had a great 2 weeks driving around in Italy and had a reaxling week in the south of France. I will be posting some other pics soon of great places to visit, relax and eat as well so stay tuned! 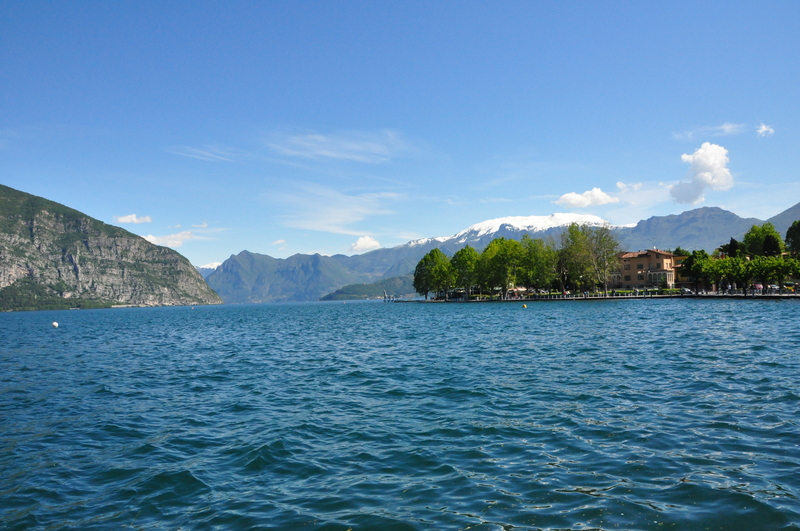 Here you have already a glimpse of Lago Iseo, one of the lakes in the North of Italy with an Island in the middle. Great for a picknick and nice walks! Back again from a long spell! 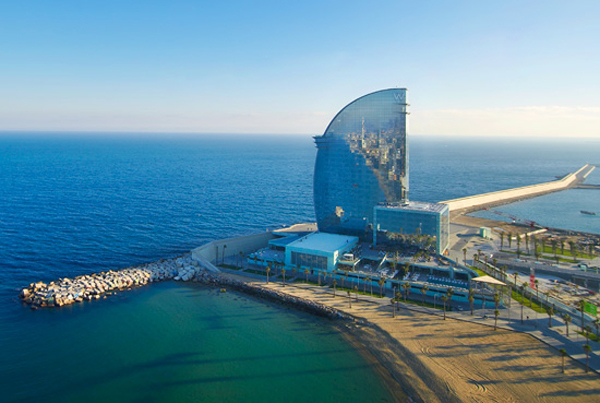 Last weekend we’ve been to Barcelona and stayed in the W Hotel, right at the beach.